Stewart's Holiday Match Grant Award! Copenhagen School would like to express our appreciation to Stewart’s Holiday Match donation of $900 toward the transformation of our After School Internet Cafe. The Internet Cafe, a joint effort between CCS and Cornell Cooperative Extension 4-H After School program, was opened in October to provide students in grades 6-12 with a safe and inviting space to relax, work on homework, socialize and explore personal interests. While the internet has become more accessible over the last several years, in-home WiFi has actually decreased among our district’s families as the trend has become using mobile devices for internet access. Since its inception, the cafe has served over 100 students with more than 1,100 combined hours of participation! To make the internet cafe as appealing as possible for our students, we are undertaking a redesign of the room to transform it from a traditional classroom to a flexible, social, learning setting. 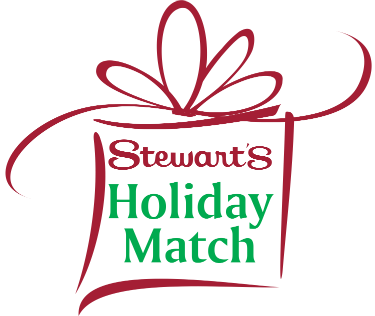 The Stewart’s Holiday Match donation is a perfect kick start to this endeavor. If you would like to learn more about how you or your organization can support our efforts please contact Copenhagen Central School.